Program #SHIV018. Recorded in Española, NM on October 25, 2013. What’s in a seed? Life itself. Ten thousand years ago, Iraq, Egypt and India were the sites of the earliest sowing and harvesting of plants that had previously been gathered in the wild. It was a revolutionary development and made civilization possible. Since then humans have been able to grow food and feed themselves. Today, that freedom embodied in seeds is threatened. Multinational corporations, like Monsanto, have radically changed the agricultural landscape. The imposition of intellectual property rights and patenting have been ways corporations have devised to put a price tag on seeds and to undo what has been for millennia a shared heritage. Around the world there is backlash and resistance to the corporate hijacking of seeds. In many instances it is indigenous peoples who are leading the way in promoting sustainability and protecting the integrity of seeds. 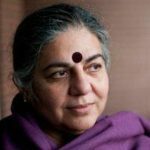 This compelling broadcast should be repeated often as Vandana Shiva’s research and clarion call of warning about Monsanto is vital if we don’t want our food to be further distorted. Right, Ghandi did not refer to “the other 9/11”. I hope author “What?” took to heart her spoken 6,347 words so masterfully delivered ! ! Our “earth Gaia” is being so cruelty mistreated. Work for a change. 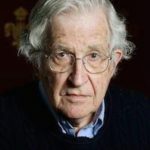 This excellent program outlines the specific atrocities and intended monopoly bt Monsanto of food production in developing countries including forcing seed banks to be discontinued, taking over scientific authorship of favorable articles, and (as we know too well in the US) spreading lies and false information on GMO crops. I’ve known Monsanto was evil but the information in this program, by a woman who seems to have no agenda other than saving her countries right to produce healthy food, was shocking. I gained a substantial amount of information about India and its agricultural nature. However, this lesson is applicable world wide. A sincere and moving explanation in simple terms of where we have been, where we are, and where we must not go in agriculture. At times a bit lengthy, but still captivating! As a US Peace Corps Volunteer in Brazil around 1970 I experimented with hybrid rice developed by the International Rice Institute. While the hybrid seed produced well, it was not appropriate for two reasons: 1) it required heavy use of nitrogen fertilizers, which were not readily available, and 2) the seeds could not be saved from one year to the next since they were hybrid.